These Roti's are made in Pressure Cooker. They turned out so perfect like the one's at restaurant's. And more over it can be done so quickly. Here is where i took the recipe from. Mix All Purpose flour with the Wheat Flour, Now sieve it with Baking Powder. add salt and mix well. bring the flour together in a mountain shape and dig a hole in the centre. add the curd on the hole and add the baking powder upon it. leave it for 2 minutes. Now mix the flour with a warm cup of milk. Roll the dough as we do for chapathi's in the round shape and cut it into half shape. Heat a Pressure Cooker/Kadai. Now stick the rolled dough on the wall's of the cooker. leave it for a minute and invert the cooker. and leave it for another half minute. check the naan now..if it is not cooked evenly, cook it directly on the flame. after it is cooked, you apply butter to it. 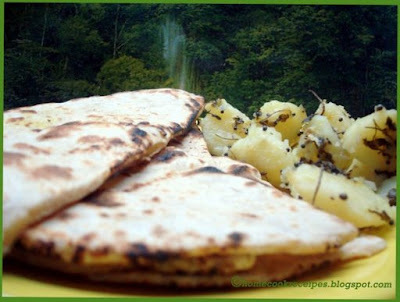 I served the above Naan with Vada Curry and boiled potates tempered with mustard and sauted with Kasuri Methi. 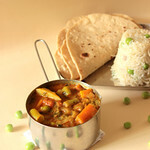 Both the side dishes suited well for Naan. Grind the above all together with two to four spoons of water.Make sure you do not grind them so Tight or Runny.also take care that they are coarsely grind with some whole lentil ungrounded. Now make a small coin shaped with the grounded paste and fry them in oil till they reach golden colour. when the vada's get cooled tear them into half and keep it aside. 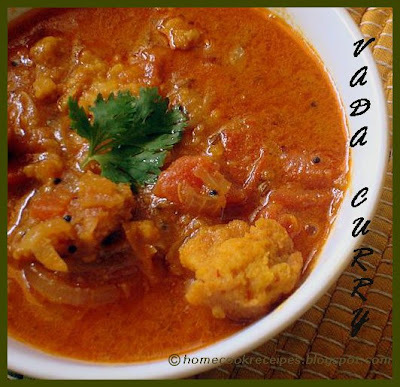 The gravy for the vada's can be prepared by adding cinnamon,cloves and bay leaf when we start with seasoning. But I didn't add them..yet it was so tasty with a nice aroma. Heat oil in a kadai..yes 1/4 cup of oil, it really adds up taste.when the oil gets heated, add mustard, when it starts to make sound, add fennel seeds and curry leaves. fry them well. Now add the Ginger-Garlic-Onion Paste to it and fry well. on frying it, add the finely chopped onions and fry them, add tomatoes and fry them. Now add the powder's as per the order and mix well.it should mix with each other.add little water and let it boil for a minute and add the vada pieces into the curry.mix well, add sufficient water as per the consistency you require and close the kadai with a lid and let it rest for five more minutes in the stove in low flame. Garnish it with Corriander Leaves before serving. It also goes well with Rice. This is yet another dish that had never let me down. and iam thanks to this recipe since my Husband accepted me as a good cook when i made this for the first time. 1. 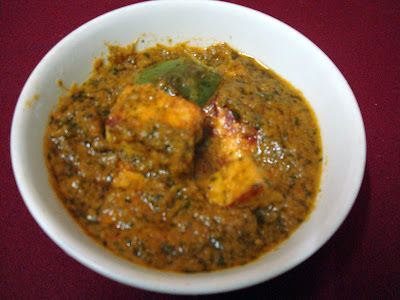 Cut the paneer into cubes and roast it in a Tava, without oil. roast it on both the sides. keep it aside. 2.Now have 4 spoons of oil and fry the onions and tomatoes and corriander leaves. fry it well. let them cool and grind it into a paste. 3.Now have oil in kadai and fry the capsicum cutted in cube shapes. 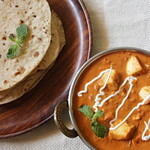 4.After frying it, add fried paneer,the grinded paste, chilly powder, Turmeric powder a pinch and salt. Mix well and let them boil for 3 minutes. 5.Now add the butter and close it with a lid and let it done for 5 minutes. now it is ready to serve. 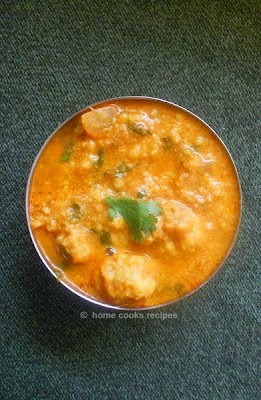 Now this Yummy..my all time favourite Butter Capsi-Paneer Curry is off to JFI/VOW hosted by Creative Pooja. 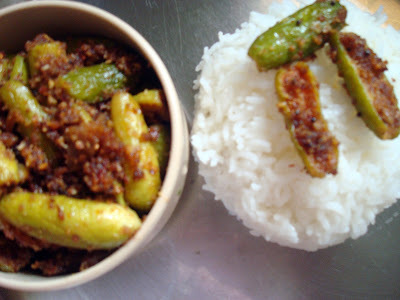 Ivy Gourd Fry with Almonds..Sounds Different...Right?? I read about this recipe long back in a popular Tamil Monthly Mangayar Malar Supplement on Badam Recipe's. So now its time to showcase to you all the badam delight i had in a different form with a different companion, ivy gourd. 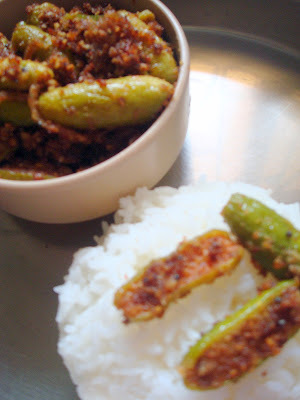 This Ivy Gourd Fry with Almonds goes to Fortune Cooking Contest hosted by my dear friends Nithu and Shriya. would i need to say about how it tasted..coconut and almonds blenched togeather and fried with ivy gourd's...it's sure it has to be good nna?? Cut the ivy Gourd into half. wash it and keep it aside. Grind the grated coconut and the almonds along with chilli and little water coarsely and keep them aside. Now in a kadai, heat the oil, add mustard seeds, when it makes sound, add the onion sliced and fry it. Now add the ivy gourd's and fry. let them get oil coated andstart shrinking. now add the grinded coconut-almond paste to it. keep mixing. 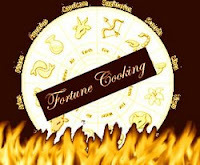 on a low flame keep stirring whenever it sticks to the kadai. add salt and fry till they are almost cooked. i prefer the crunchiness in the ivygourd..so i dont cook it to the full. I had this with Plain Rice..which tasted well..absolute finger licking delight. It is a fatty rich side-dish to the rice. 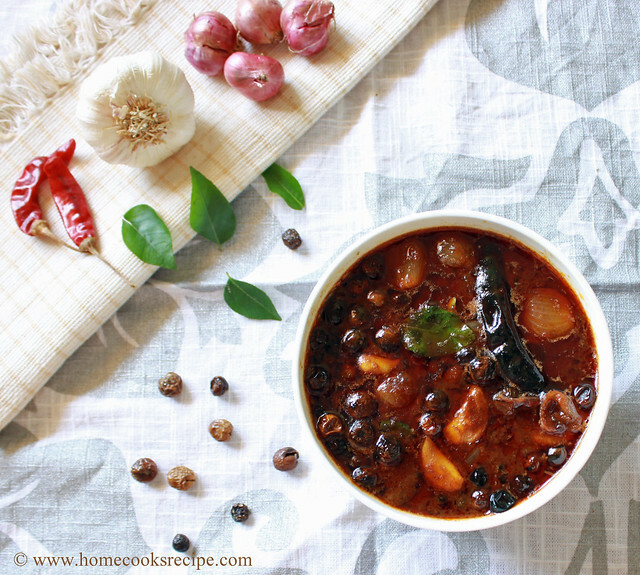 so when you prepare this, prepare something very light, as dal, rasam or sambhar.